Kaveri Trail Marathon - India’s first trail marathon, the trail which will leave your legs cooked when you cross the finish line and the marathon which will put your finest hour of training to test is calling all the brave men and women to take up the challenge. Kaveri Trail Marathon began its journey in 2007 as a training run for the Bangalore Ultra with 170 runners. What started out as a training run, is now one of the flagship events for Runners for Life and a popular trail marathon, with avid runners from across the country joining in. 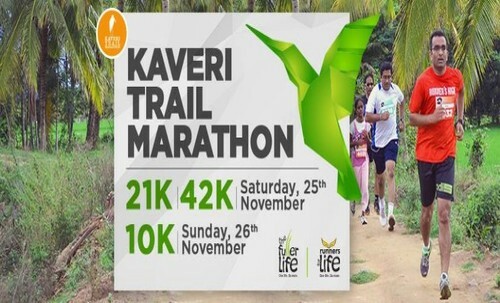 The Kaveri Trail Marathon as one of the scenic trails runs alongside the calm and pristine River Kaveri. Ranganthittu Bird Sanctuary in Srirangapatna, Karnataka is the venue for the Kaveri Trail Marathon. One can choose to run the marathon, half marathon, 10K or the newly launched 5K run. Inspire others—Doesn’t matter if you are speeding to a PR, crawling to the finish, or anything in between, someone on the sidelines is going to start running soon because of seeing you pushing through this distance. Self-confidence—That whole conquering the beast thing above? Yeah, with that slayed, daily tasks will seem simple by comparison. Travel—We always find excuses not to spend money to see the world. But throw in a marathon and you have given yourself a reason to check out small pockets you never would have allowed yourself to go to before. 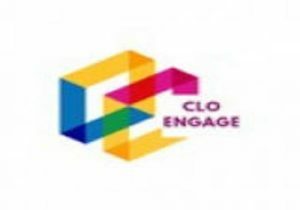 Make new friends—As we get older, the places and chances to meet new people become less and less. On a marathon course, you don’t have to think of small talk or a way to break the ice.